In the fall of 2005, Betsy Sanders (’08), Vaishnavi Sharma (’08), and Gina Leon (’08), came from different corners of the world to The New School for Drama where they shared three years of rigorous training, forged a working relationship, and discovered their admiration for each other’s talents. Since then they have followed their own artistic paths and gained numerous performance credits between them that include Off-Broadway, regional theater, national tours, film, television, and productions across the globe. Yet, as they moved forward with their individual pursuits, they kept alive their dream to once again perform together. 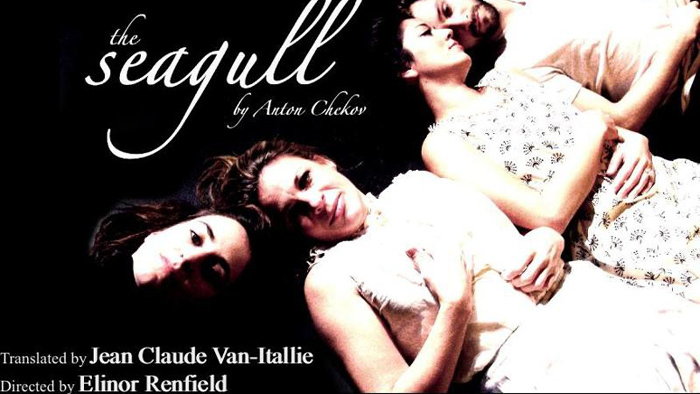 Seven years later, they are thrilled to reunite with the creation of Spare Change productions, a theater company consisting exclusively of Drama alumni and are in preparations for their inaugural production of Anton Chekov’s The Seagull, directed by Drama faculty member Elinor Renfield. “Our aim was to bring together a group of dynamic artists and collaborators, all working towards a common goal: to bring to life a timeless story in an environment that fosters a bold and provocative rendering of this play,” Betsy explains. Collaboration is the cornerstone of Drama’s program. The company also includes Patrick Williams (’09), Rick Joyce (’07), Michael Goldlist (’10), Dana Mazzenga (’09), Nate Faust (’09), Conner Carew (’09), and Mark Cajigao (’08). The production will run February 6-12 at The InterArt Theatre, 500 West 52nd Street, New York City. For more information about the production and tickets, visit http://ow.ly/gvWi0.